Originally from the South Island, Tyson has been a part of the Wellington music scene for over a decade, performing in a range of styles. He was guitarist with singer Hollie Smith for several years, has released 2 albums under his own name and performed in various productions with the likes of the NZSO. 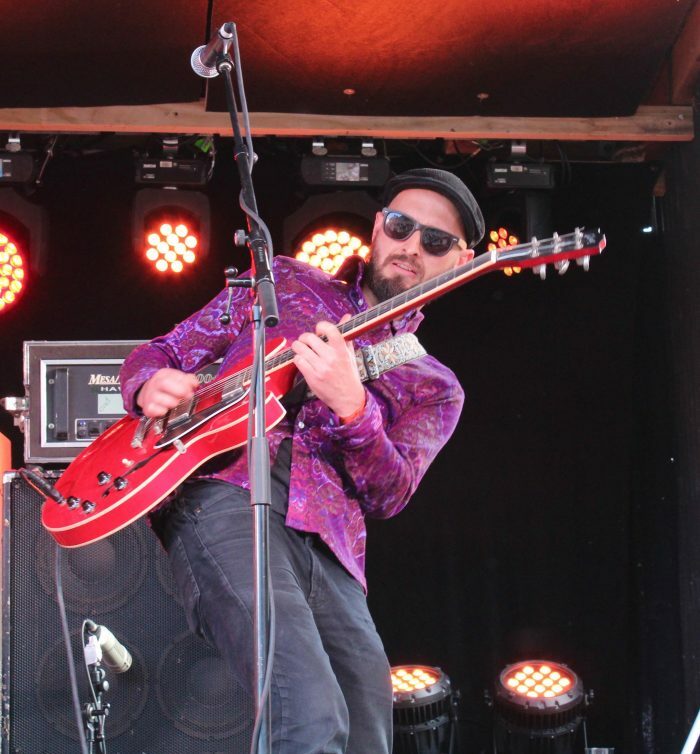 After graduating from the Christchurch Jazz School Tyson performed as guitarist in show bands on Cruise ships to hone his skills and fund music-inspired travel. He took lessons in Cuba and Mexico and also spent several months in New York City taking lessons from some of the city’s most highly regarded guitarists including Mike Stern, John Abercrombie and Ben Monder. Since basing himself in Wellington Tyson has been sought after as a session guitarist for various tours, recordings and shows however in the past couple of years he has focused more on his own original music. He performs regularly both within New Zealand and internationally and also teaches itinerant guitar at Whitireia Polytech and several high schools around Wellington.